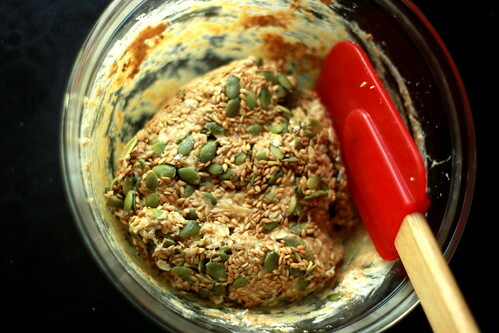 Do your body a favor today and make this snack real quick. 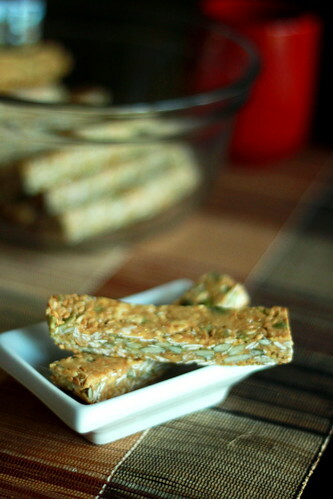 In the spirit of the new year and making (a few) healthy choices, this no-bake granola sticks recipe flaunts flax seeds, a rockstar health food and seriously, my new BFF. I swear it's like magic pixie dust. Put them on anything—cereal, oatmeal, yogurt, cookies—and they're immediately ten times better. It adds a bold, roasted flavor with a smooth, nutty aftertaste. I really wonder how I ever lived without it. Now this recipe calls for a few items you'll probably have to go to Trader Joe's or Whole Foods for but it's super quick, ridiculously easy, and so good for you! Definitely one of my favorite no-bake experiments so far. Two thumbs way, way up. 1. Grease whatever container you want to put it in with butter or cooking oil. I used an 8X6-inch pan. 2. Mix butter and marshmallows and put them in the microwave for one minute. Stir until marshmallows are completely melted. 3. 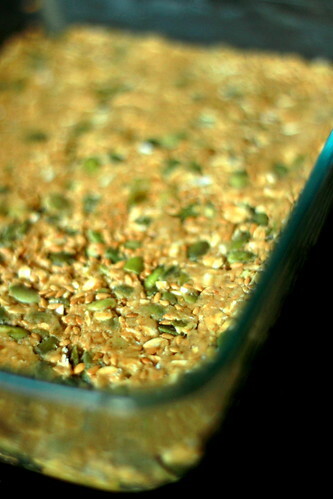 Add oats, graham crumbs, flax seeds, and pumpkin seeds. 4. Press into greased pan and let cool for an hour. 5. Cut up into sticks and enjoy! I'm never buying granola bars again. Need more convincing? 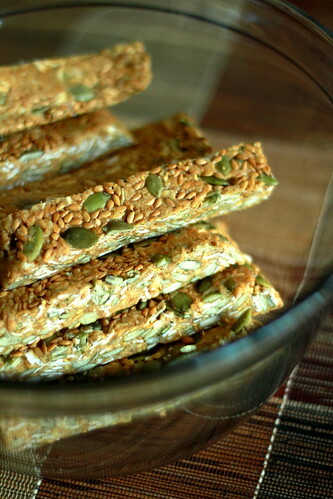 Read this article on the benefits of flax seeds and find out why it's on the top 10 list of food to eat. Now this I can definitely make! Try it Tita... This is definitely in my top 3 favorite no-bake recipes!